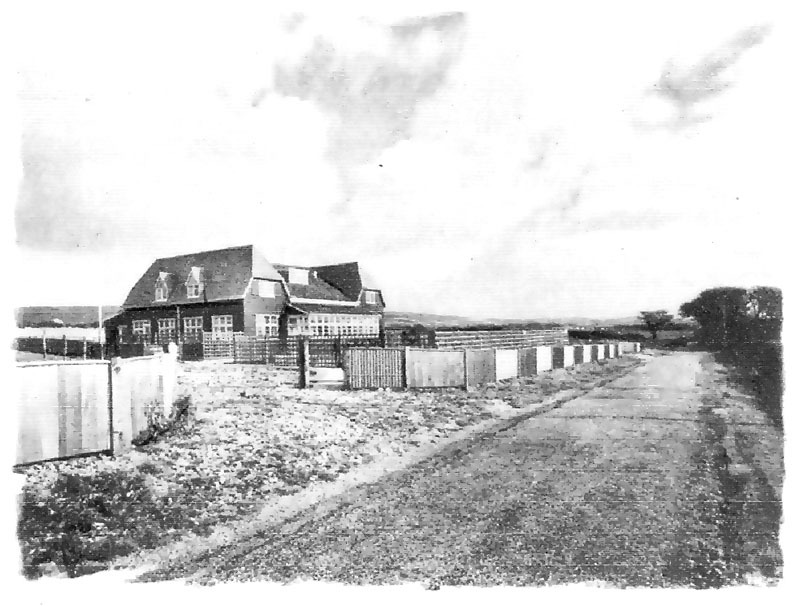 During the Second World War, Brighstone Holiday Camp provided an accommodation and training base for some of the many Army Units engaged in defending the beaches of the Isle of Wight or which were undergoing training. These units would often spend only a brief period on the Island before being posted elsewhere. On 1st March 1942 a new regiment, 183 Field Regiment Royal Artillery, was formed and on 4th March, “Q” Battery was sent to the Isle of Wight for familiarisation and training. Their base was to be Brighstone Holiday Camp while the Officer’s Mess was in a wooden hotel nearby named “Sea Breeze” whose site is now occupied by recently built apartments. The next six weeks were occupied in training whilst waiting for essential equipment which included guns and towing vehicles. Four 75 mm field guns were issued to the battery on 19th March and practical training could then begin. The necessary vehicles had arrived by the middle of April. At 02:12 in the morning of Friday 17th April 1942, a German bomber released a stick of three bombs over Sea Breeze. One of them scored a direct hit, totally demolishing the former hotel and damaging the adjacent wooden cottage which is believed to have been called “November Cottage”. Gunner William Eric Booton. aged 24 of Bognor Regis. Married. Gunner Robert John Curry, aged 38 of Suffolk [who died in Parkhurst Military Hospital a few hours after the attack]. Married with one child. An elderly civilian, Mrs. White from “November Cottage”, was taken to hospital suffering from shock. A memorial service for the dead was held at St. Mary’s Church, Brighstone, on Sunday 19th April 1942. On Tuesday 21th April, a burial service was held at the Parkhurst Garrison Church for T/Capt. Sandover and Lt. Ward Davies, and the men were laid to rest with full military honours in Parkhurst Military Cemetery. The service was attended by the widow of T/Capt. Sandover, by the parents of Lt. Ward Davies and by their fellow officers and representatives of other army units based on the Isle of Wight. Bodies of the other victims were taken to their homes for burial. Replacement officers were quickly drafted in and on Friday 24th April “Q” battery took its guns onto the battle training and firing range at Cheverton Down for firing practice. The following Tuesday, “Q” battery left the Isle of Wight for Milborne Port, Somerset. Captain Kenneth Jeffrey Robinson R.A. recovered from his injuries and went back into the field. Aged 25, he was killed in France on 10th July 1944 and lies buried in the Brouay War Cemetery which is about 18 km west of Caen. He was not married.